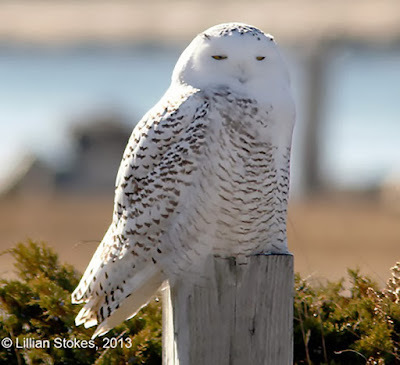 Who doesn't love Snowy Owls? These big beautiful owls come down in winter to mainly the northern U.S. from their far north arctic tundra breeding range. 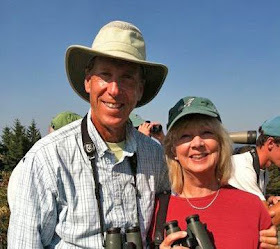 They go to favorable open habitats where they can find voles. This one was seen on the NH coast in a state park several years ago. 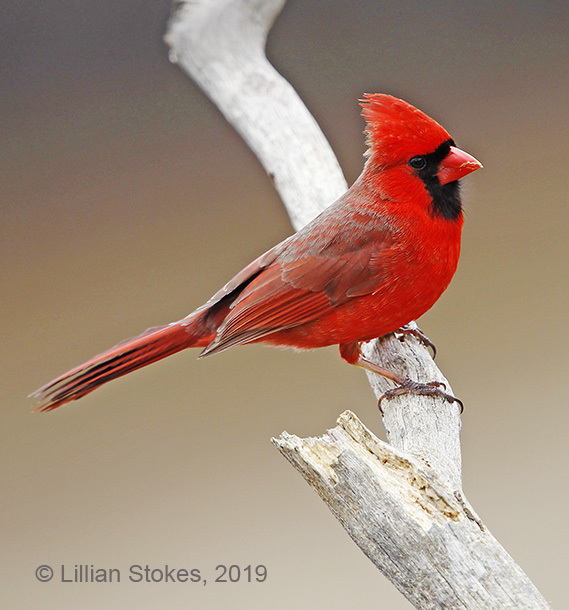 Look for them in coastal and open habitats. It's Feeder Friday. 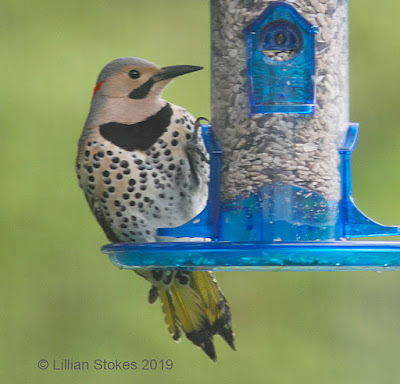 We recently had a Northern Flicker at our feeders in NH. Possibly a returning migrant. 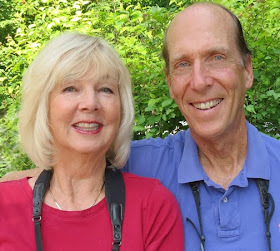 Attract flickers with suet and hulled sunflower. Look for them soon. This bird was enjoying hulled sunflower on a Stokes Select Jumbo Seed feeder. 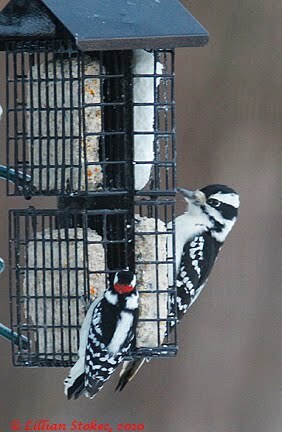 Downy vs. Hairy Woodpecker, can you tell the difference? Downy Woodpecker, m. (left), Hairy Woodpecker, f. (right) on Stokes Select Four Cake Suet Buffet feeder. Wow, look at the size difference. 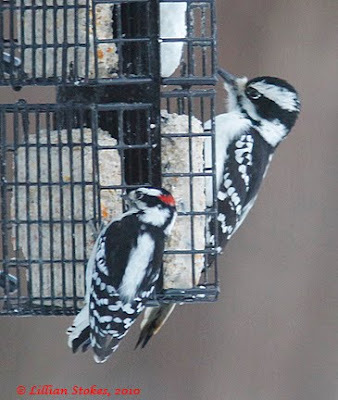 In this photo you can see the bars on the outer tail feathers of the Downy Woodpecker. 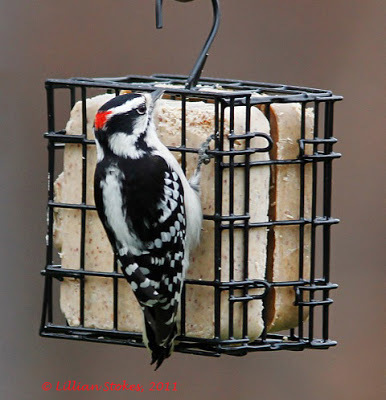 This usually occurs on most subspecies of Downy Woodpecker except the "leucurus subspp (s.e. AK-. 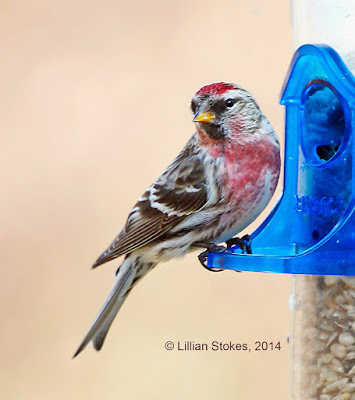 NE south to AZ-NM) may lack barring on tail." 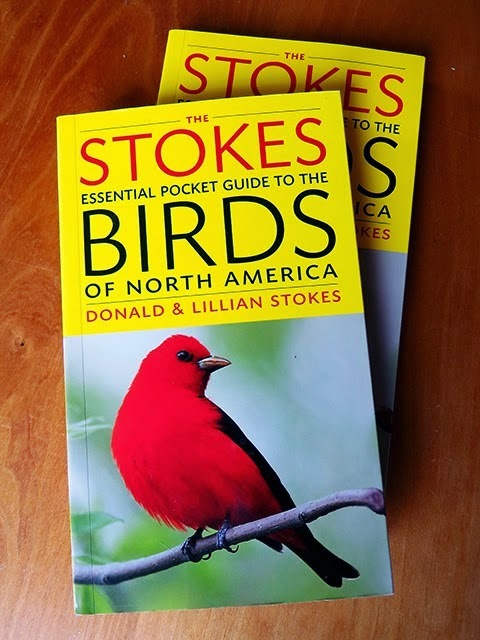 (from The Stokes Field Guide to the Birds of North America, which contains information on all subspecies of birds, no other field guide does). The Hairy Woodpecker usually has white unbarred outer tail feathers (except in a few subspecies). 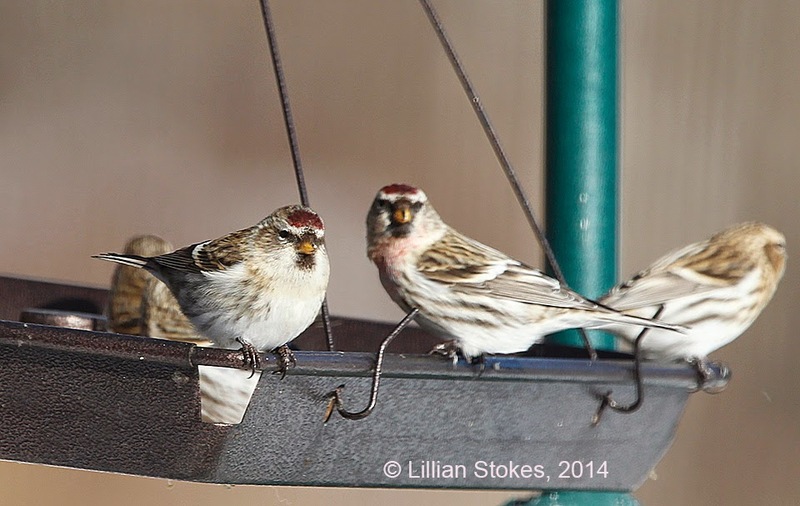 Common Redpolls are beautiful winter finches that can be attracted to your feeders with Finch mixes, nyjer/thistle and hulled sunflower. Look for them as they are still being seen. 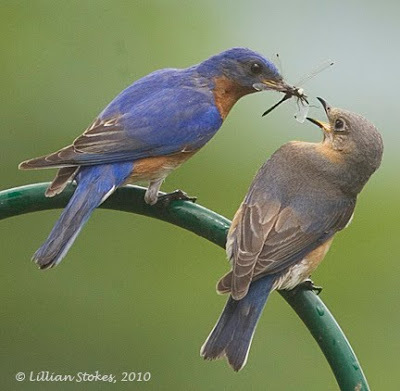 Waiting for them to show up at our feeders in NH this year. Happy Valentine's Day! Share it with the one you love ! Great White Pelican Again, Will She Be Accepted 1st N.A. Record? 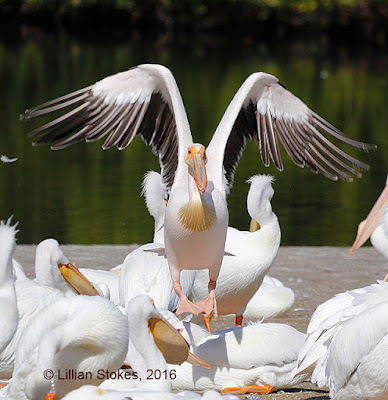 Amazingly the female Great White Pelican, a species from Africa, Asia and Europe, that first made an appearance at Ding Darling National Wildlife Refuge, Sanibel, FL Feb. 28, 2016 appeared back again there yesterday for the 3rd time in 4 years. Each time she has appeared it has been in February. 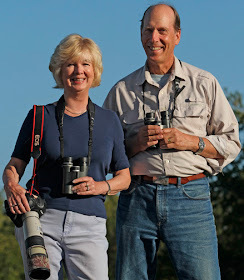 She usually is seen in the company of American White Pelicans. The big question is, is she a wild or escaped bird? 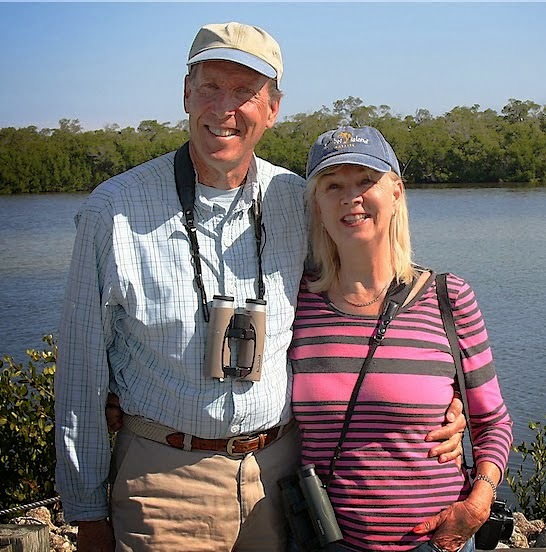 This bird was rejected as a new North American record by the Florida Ornithological Society Records Committee. This new sighting of the Great White Pelican could be resubmitted to the FOS committee and the case reopened. So stay tuned. 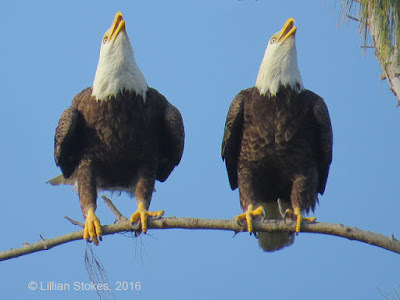 There are interesting discussions about this taking place on the Florida Birding and Rarities FB Group. Researchers are also asking for information about any banded American White Pelicans the Great White Pelican is hanging out with. There is interesting information about this bird. 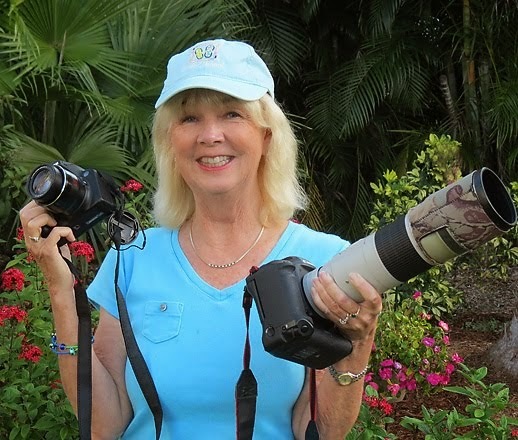 For starters, the evidence is that she is not an escaped bird from the U.S. A Great White Pelican expert,who keeps track of the Great White Pelicans in captivity in this country had done a survey of them just before this Great White Pelican first appeared in 2016 and said there were no escaped birds. Also Great White Pelicans in captivity are banded or microchipped and she has no bands. 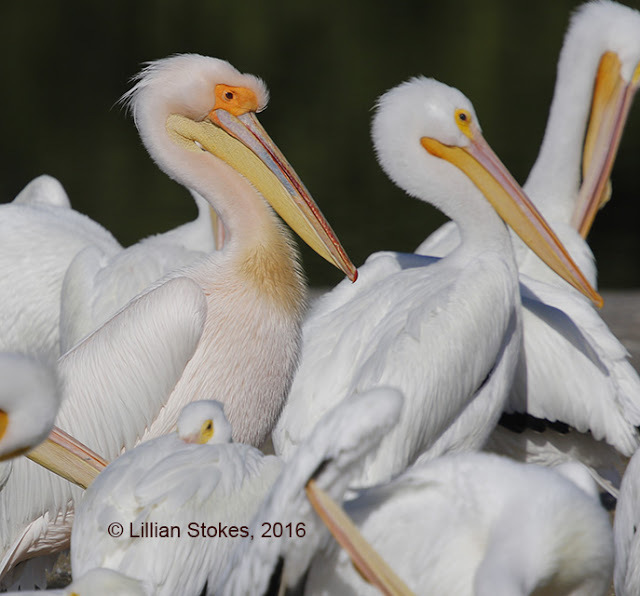 There is also an informative research paper on The origin of out-of-range pelicans in Europe: Wild bird dispersals or zoo escapees? It found that a lot of the Great White Pelicans found in northern Europe are vagrants and not zoo escapees. Annual vagrancy patterns in Europe were well predicted for all three species (including Great White Pelican) then by population size indices, reproductive success and/or climatic components, which presumably influence survival and/or dispersal. 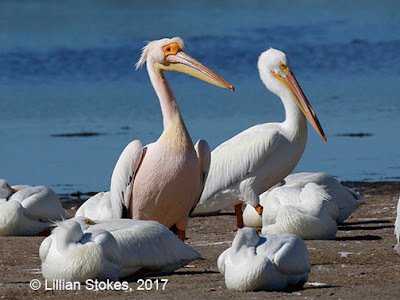 Wintering conditions such as the previous year's rainfall could effect the water conditions on the wintering grounds and then the ability of European Great White Pelicans to survive the winter in Africa and to come back to Europe the next spring. 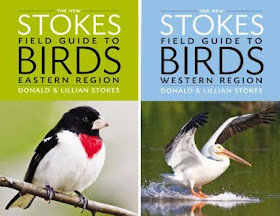 Hopefully the FOS Records Committee will again consider this bird and consult further scientific input and other relevant information. 2017 appearances here and here. 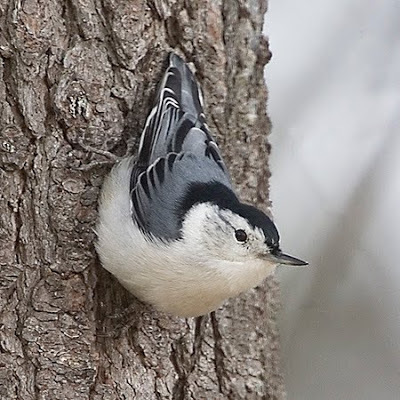 Cardinals singing, Downy Woodpeckers drumming, nuthatches singing "were-wer-wer" 60 degrees, its spring in Feb.!! 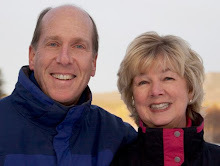 Riding the global climate change roller-coaster. The upside today.